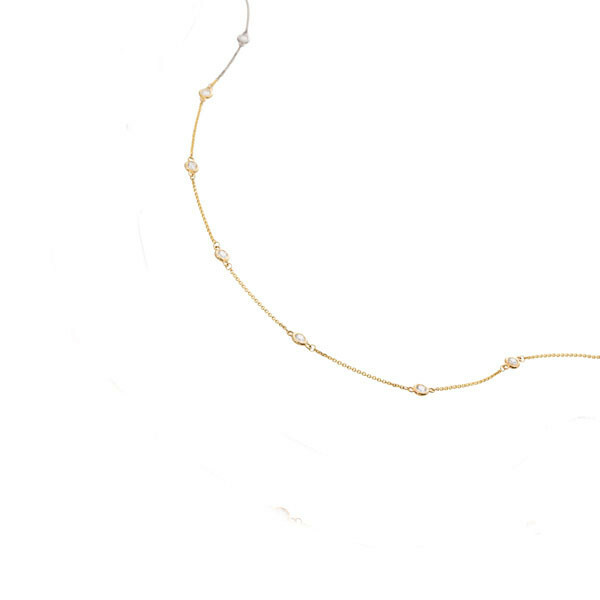 A delicate dazzler, this Diamonds by the Yard necklace can be dressed up or down. Crafted in 14kt yellow gold, elegant diamond stations and a delicate chain add up to a wear-with-all piece of jewelry that's flattering and feminine. The necklace can be worn alone, or layered.